Welcome to BINGE-READ MANGA, our occasional segment where Geek of Oz reviews a manga with a back catalogue and tells you why it's worth binging, Netflix-style. We've all wanted to be a superhero at some point, right? 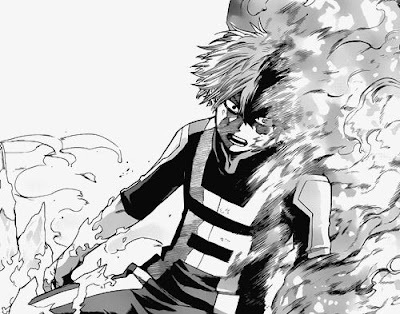 In a world where 80% of the population are born with Quirks - abnormal powers that make them eligible to become superheroes - Izuku "Deku" Midoriya stands out. He was born Quirkless, and has to make do with spectating for both his own superpowered friends and the publically beloved heroes they strive to one day be. After a run-in with one of those heroes, the charismatic All-Might, Deku gets a shot at finally having his own Quirk in order to enter the Hero Academy, given a chance to one day stand shoulder-to-shoulder with the world's greatest caped and cowled characters. Essentially, it's Harry Potter by way of Teen Titans and X-Men. I've heard worse ideas. 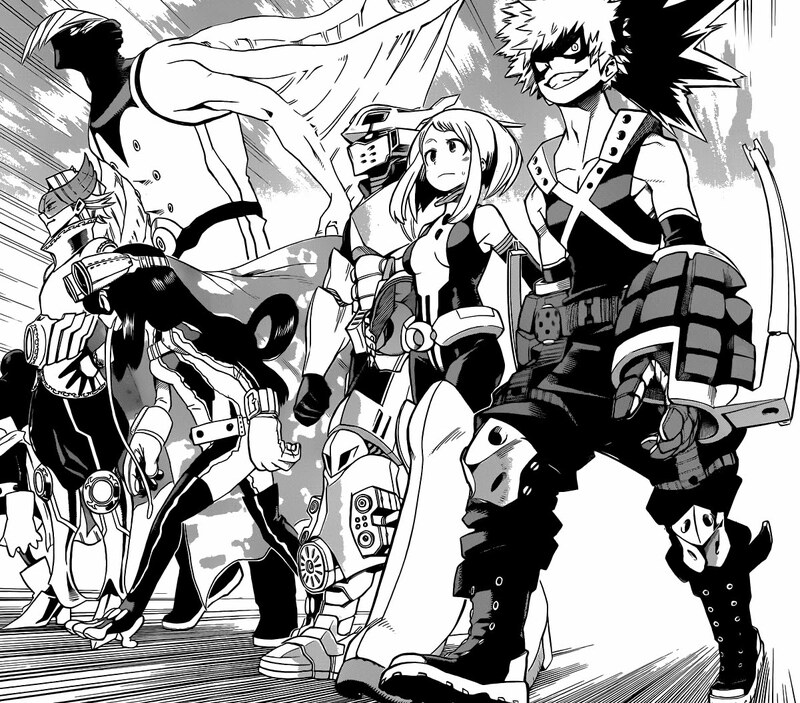 When reading My Hero Academia, the thing I'm most reminded of from a structural perspective is Horizon Zero Dawn. The two narratives are as far removed from each other as possible - superpowered high school vs. post-apocalyptic fights with robot dinosaurs - but they are both rock solid in their respective use of tropes and genre conventions. Very little of those works do anything groundbreaking, but they're made special through the way they confidently deploy the kinds of characters and plot turns we're used to seeing. 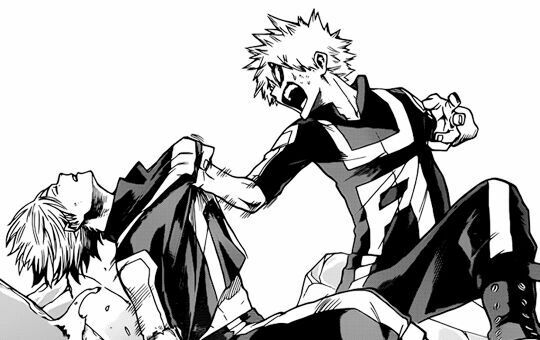 Sometimes that can be comforting so long as it's not a stale, entrapping kind of comfort; My Hero Academia is the kind of comfort that goes for power through the familiar. 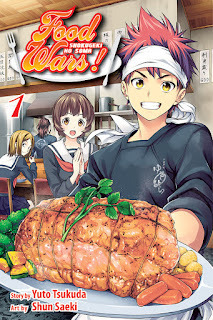 The story beats are pretty enjoyable, but the manga shines with its characters. Just like its shonen contemporaries, My Hero Academia starts us off with a good introduction of Deku - immediately an earnest and sympathetic character through some deft early scenes and a gut-wrenching backstory - then blossoms outwards to explore its extended cast of characters. 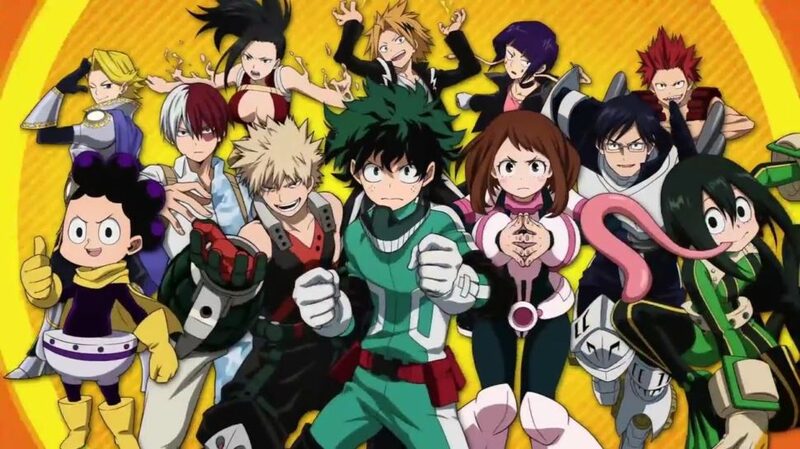 All-Might, the Academy faculty and Deku's classmates are all immediately compelling, with their light characterisations early on quickly turning into full-on three-dimensional supporting players. Some accomplish this with little more than visuals and character quirks; Tsuya, for instance, is an cool character for nothing other than her friendly demeanour and frog-style superpowers. Others, including Deku's friends Ida and Uraraka, and their nemeses Bakugo and Todoriko, get whole chapters devoted to fleshing them out. 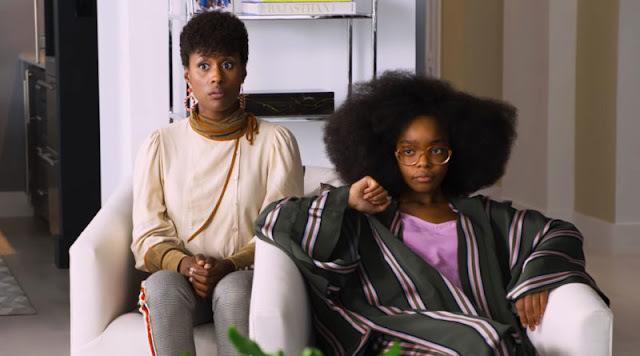 Again, much of what makes these characters tick isn't anything new, but it's all done with such earnest confidence that the cast are all immediately gripping. 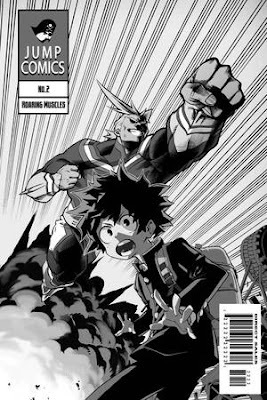 Mangaka Kohei Horikoshi pulls double-duty as writer and artist, and he's more than up to the challenge of both tasks. 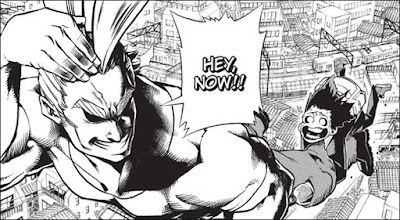 The level of visual detail is fantastic for a shonen manga, with most of the vast cast given immediately distinct appearances, and Horikoshi's got a great command over showing a nuanced range of facial expressions. Action scenes are also pretty dynamic; where something like Attack on Titan sometimes overloads the visuals in a battle scene so that lines of motion and action effects muddy up the page, My Hero Academia instead gives us battle scenes that not only demonstrate each character's unique abilities, but are also comparatively visually uncluttered. DOES IT HAVE AN ANIME? Sure does. Season 2 wrapped last year, with both seasons available for Australian streaming on Crunchyroll, and Season 1 available in a DVD/Bluray combo boxset. Season 3 is due out in Japan in April 2018, and there's apparently a movie in the works too. HOW MANY VOLUMES ARE OUT? 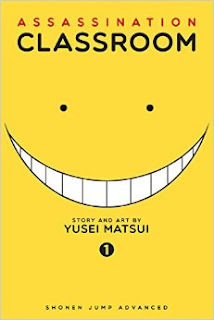 At time of writing, 10 volumes are out in English (with Volume 11 due February 2018), compared to Japan's 17. Much like Food Wars was (until it reached its long-running Big Bad arc with Erina's father), My Hero Academia is pure comfort food. It's a warming, easy experience with some fantastic characters, expressive artwork and a great story, even if it pushes no boundaries in being all those things. Also, each volume has that pesky habit of ending on big cliffhangers, so chances are good that you'll be spurred on by that, too. But moreover, the manga feels like a good take on Western superheroes as interpreted for a Japanese audience. Where something like One-Punch Man went for satirising shonen through the lens of the superhero, My Hero Academia adds a Japanese sensibility to the old school, nostalgic form of superheroics that made the Golden and Silver age so much fun to read. The story is layered but isn't overly complicated, revelling in the earnest, good-natured thrill of kids learning to be superheroes. 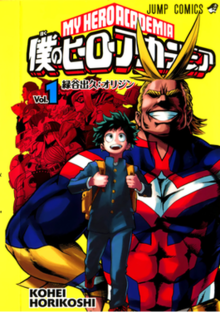 My Hero Academia Volumes 1-10 are available in English now wherever manga is sold. Volume 11 is available February 2018.